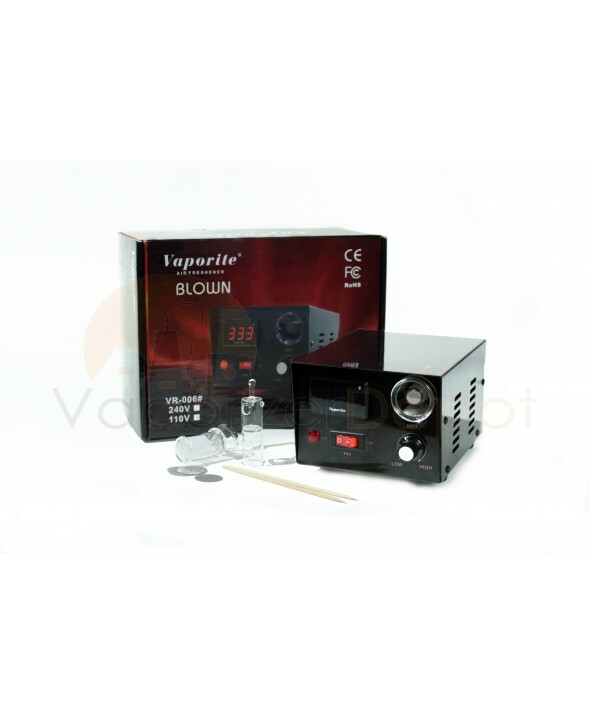 The heavy-duty "Blown" vaporizer/air freshener from Vaporite features a classic look with black metal framework. The ceramic heating element is controlled with a knob and monitored by a digital LED temperature display in Celsius or Fahrenheit. A separate on/off switch controls the fan. To use, press the power button and set the knob to your desired temperature. The light will turn off once the set temperature is reached and your vape is ready to use! The power cable is included and features a North American standard plug. Also included are: a hose adapter, cleaning stick, one aromatherapy bulb, spare screens, and instructions in German, English, French, Italian and Spanish. 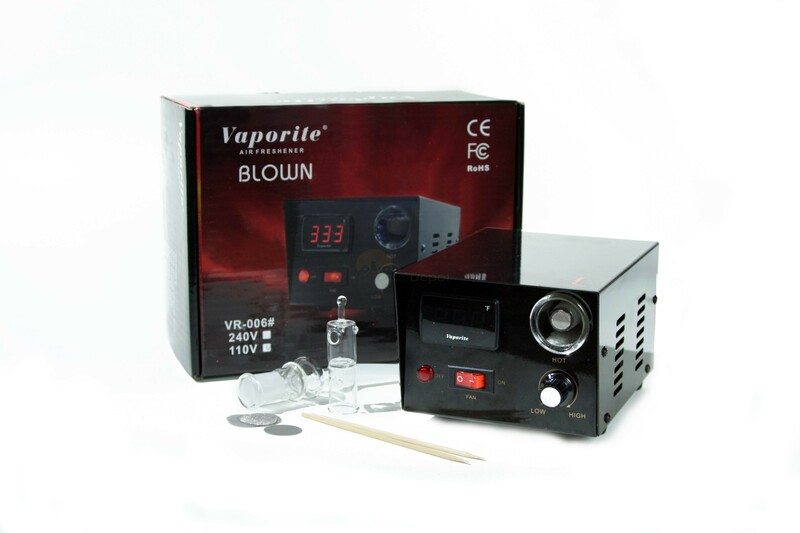 Your Vaporite "Blown" vaporizer comes with a manufacturer's warranty card valid for one year — just register your purchase with Vaporite within 10 days of receiving your new vape!